Tuesday 26th June 2018 – 5.00pm – Murray MacGregor. A motorcyclist has suffered potentially serious injuries after his bike was in collision with a van. The incident happened on Weddington Road in Nuneaton at about 1.30pm. 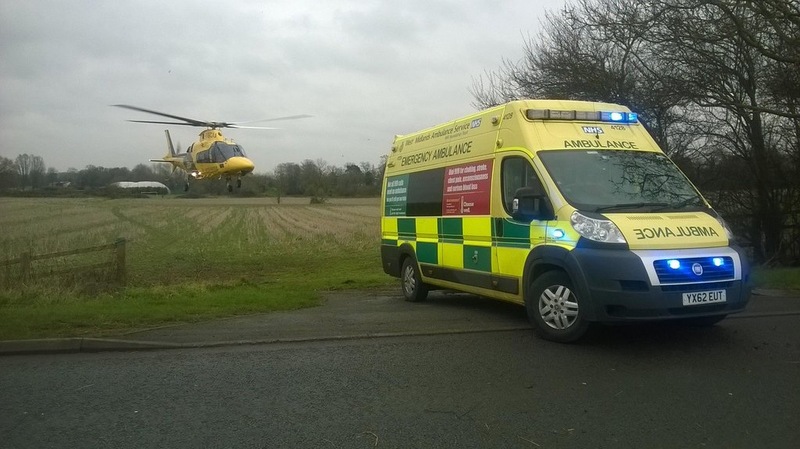 The first ambulance arrived within seven minutes and was backed up by a second ambulance, the Warwickshire and Northamptonshire Air Ambulance and a paramedic officer. A West Midlands Ambulance Service spokesman said: “On arrival, crews found a man estimate to be in his 60s who had suffered multiple injuries. “He was immobilised and treated on scene before being taken on blue lights to the major trauma centre at University Hospital Coventry & Warwickshire. He was treated by the crew, the doctor and the critical care paramedic from the air ambulance and another paramedic from the second ambulance.